Our Automated Credit Scoring Tool enables banks and other lenders to concentrate on their core business again. Instead of wasting time on collecting audited financial statements, salary slips, answering non priority pop-up alerts, checking that no important changes on the borrower's side are missed and ensuring that all the relevant customer information is shared timely among the relevant departments. Credit-bility is a 1-stop-shop for all types of credits and all customer segments. For the initial decision-making and for regular monitoring. Our algorithms are built on the basis of our banking and data science expertise. They use Big Data & Artificial Intelligence. 90% of the process is automated, and data protection is granted in line with the new GDPR and future Swiss LDP. We make credit risk analysis: better, faster and cheaper! Based on your internal Risk Policy & Portfolio, we help you identify the less risky from the more risky borrowers, so that you may concentrate on increasing sales by acquiring new business & new customers without increasing your risk level. Save time & concentrate on your core business -- banking -- instead of regularly having to look for updated documents and information. Reduce the probability of manual errors. Thanks to the automation of the credit process with Big Data and IT. Enable your Relationship Managers, Credit Analysts, Risk Managers, Underwriters and C-levels to visualize (only) key data at first glance. And to quickly see how to improve a customer's credit score when possible. Go beyond looking almost exclusively at financial ratios from audited statements, and integrate additional variables that make banking sense into a more comprehensive credit analysis, in-sync with today's increasingly complex world. For each topic ("Financial Assessment" being 1 of 6), see the score, its historical evolution and development prediction for the future. Your data is key, both for you and your customers. Our product and services are guaranteed respectful of data protection laws (EU and CH) & in terms of cybersecurity. Enable your Relationship Managers, Credit Analysts and Underwriters to gain access to all relevant information by logging into 1 and only application. And this for all 3 market segments: Corporate credit, Consumer credit and Mortgages. Enable your Relationship Managers to re-gain lost profitable business by giving them the opportunity to proactively reach out to customers, proposing a specific loan amount if they have an interesting project to be financed in their pipeline. Amounts are based on your specific Risk policies and credit process. Give your Relationship Mangers easy access to past history and performances of existing customers, as well as market evolution of non-customers, so they may identify qualified leads. You are unique. We help you adapt our standard credit algorithms to your needs and wants, so you may serve your specific markets even better. Our credit risk model goes beyond purely financial historical data based on audited statements. Our indicators are comprised of 6 thematic blocs and they use today's technologies at their best: credit taker information, financial assessment, client attitude, project feasibility, online sentiment and innovative macroeconomic data. for you, the less risky from the more risky borrowers. In Switzerland, 99,7% of the economy is composed of SMEs. Of those, 40% find it "very difficult to get credits from banks for project growth. It is where DynaMetrics’ idea was born, where we can help lenders identify better, today's factors, which influence credit risk, as well as, to help corporations to get better access to credit, not only based on their sales numbers, but by having a comprehensive analysis of non-financial data, whether you are a large corporation, SME or Startup. That is our contribution, in galvanizing the economy. Both in terms of amounts and duration of the loans, individual corporate credits represent the highest risks for lenders. That's why we started with corporate credit. From there, we took the logical step to private credits and mortgages, the latter requested either from corporations or private customers. On August 23, 2018, after 6 months of hard work during which we delivered on each of the official technical, business and financial monthly milestones set by F10 in their "Prototype to Product" programme in Zurich, DynaMetrics completed the P2 programme with the traditional presentation at DemoDay. Over those months, a lot of expert advice was taken, feedback on the prototype, networking with qualified buyers and other startups, and the starting of the 1st financing round. 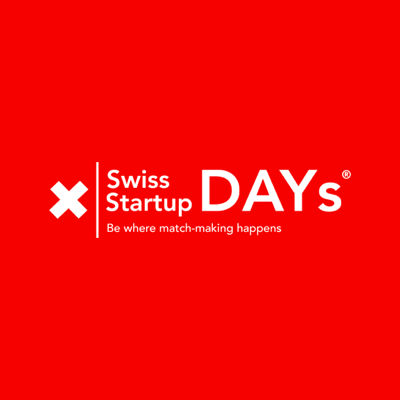 On September 25/26 in Berne, during the Swiss Startup Days, DynaMetrics has been voted by the financial industry and investors as top 5 best Swiss Fintech, out of 27 startups. The jury and investors liked both our pitch & our product and services. They could see a real market fit. We got additional prospects and potential investors, for the round we are starting in the coming months.